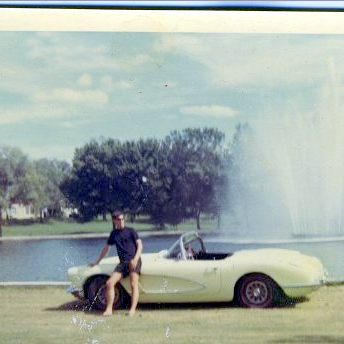 That's the same product I used on my restoration. they worked just fine . You may have to do some trimming to get a perfect fit. I used them for vent,door,and 1/4 glass. I used the same ones from NCA too. In the glass shop, when we bent fuzzy channels, we bent them over the corners of the glass. Just be sure you measure correctly cause once bent they are hard to unbend and re-bend. Also trim the stainless bead using something that cuts right across them at 90 degrees without crimping. I used a NCA "kit" too. Universal, cut and bend them yourself channels and seals. 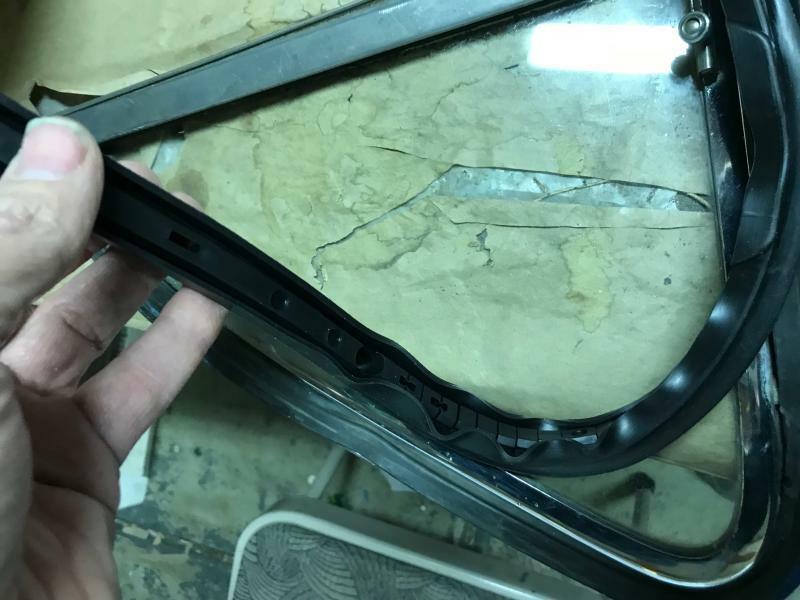 I think the best way to bend and fit the channels is to bend them around your glass. Get it right the first time. If I remember right on my Fleetline, it looked like the chrome bead was crimped off, like with a tin snips or wire cutter. So I did the same. Glued them in with urethane windshield glue. Rolled up the glass to hold them in place. That was almost 5 years ago. Still holding. Thanks. I will likely have more questions once the parts arrive! The parts arrived! It's always nice when stuff comes on a Friday--I've got the whole weekend to spend on my car. The channels and fuzzies from NCA are good. I'm a bit concerned about the vent window rubber, however. Take a look at the picture--I assumed that the rubber would have been formed with the tight corner in mind. It only lays flat when straight. Bending it around the corner creates ripples. I just realized that I am bending it the wrong way in the picture, but it tends to bunch up regardless. Any thoughts on this? A little heat perhaps? I can (and probably will) return them. I hear good things about Steele, but they are pretty expensive. The NCA parts are 60 bucks. Edited by dsacton on 02-08-19 09:54 PM. Reason for edit: No reason given. Bend them the right way. Maybe Brian or Robert can help you then. OK--here it is bent the correct way. Unless there is some way to shrink or stretch the rubber in places, this is going to sit on the car with ripples in the seal. Thoughts? Put it together and close the vent window , Let it set for a day or 2. You can also try a little heat from a heat gun to help it lay. The problem arises in the mfg process these are made flat and not molded as in the installed position. The ones that are molded in the shape of the vent window fit the best. I can't recall having any trouble with the vent window seal,(it's been about 7yrs,and mine is a hardtop,are you sure you got the right kit? )but ya,try some heat (maybe a hair drier? )after you install them back in the frame,and door with the window shut.Keep it shut for a day or two(fingers crossed)The BIGGEST problem I had,was with the seal at the top of the door glass/ roof("flipper gasket")Don't forget to use a good gasket sealer, like the 3M black on all the gaskets. You can get it at any good parts store(body work section) GOOD LUCK! When I worked in the glass shop I hated doing vent window rubber. So when I did the glass work on my '53, I did it all myself except I had the vent windows done at the local glass shop. One thing I've learned over the years working on my own car, aftermarket parts are never identical to OEM. There is always some tweaking and realizing that they are not perfect, but are better than the 60+ year old gasket that came with the car. I would assume that the vent window frame pressing against that part of your gasket will do a lot to straighten out the rippling. At least that is how it was when assembling the vent window on my Chevy. OK--here it is bent the correct way. 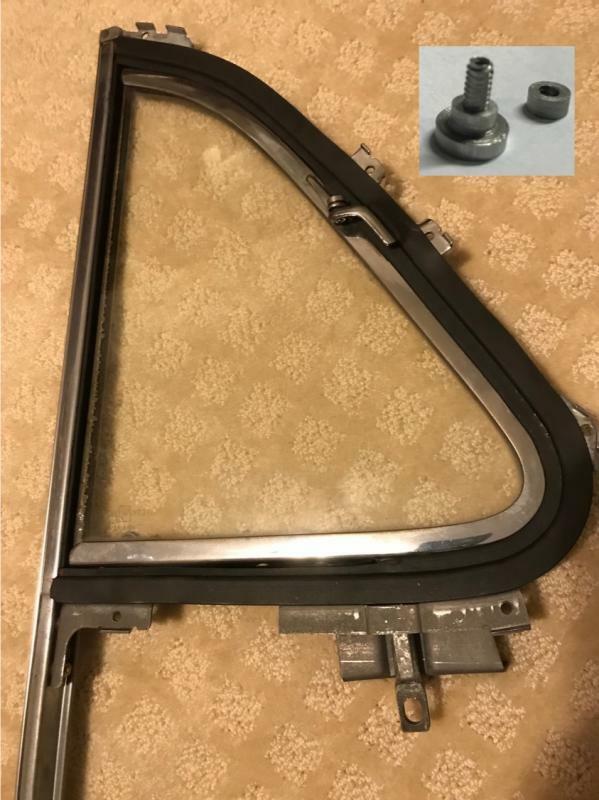 I purchased the wing vent gaskets from NCA for my '51 coupe, installed them, but don't remember having the issue you show. Of course this was some 10-15 years ago. It may be that they have since changed suppliers. I'll have to make a trip out to the shop and see what I can discover. I did look at the gaskets that are on my coupe and the raised portion shown at the arrow are not on mine. Thanks for your help and suggestions. I just ordered a pair from Steele (for 3X the price) and will be sure to post a side-by-side comparison. Fortunately, both organizations have very good return policies. 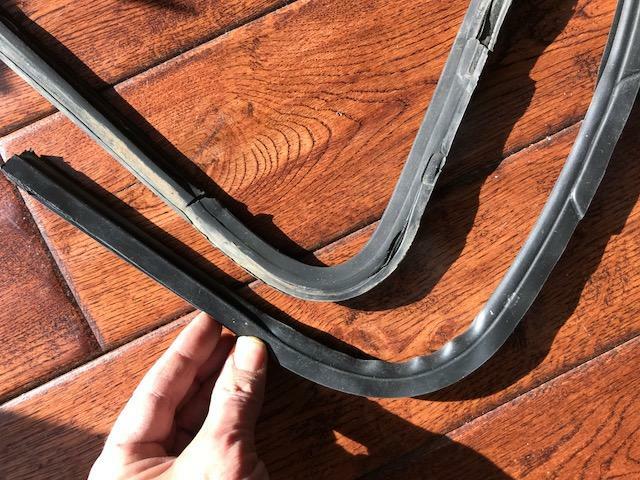 I installed the vent rubbers for my '50 fleetline 4dr from Chevs of the '40s this past summer and they had a little ripple to them at first, but after a few days in the sun they seem to have laid down nicely. 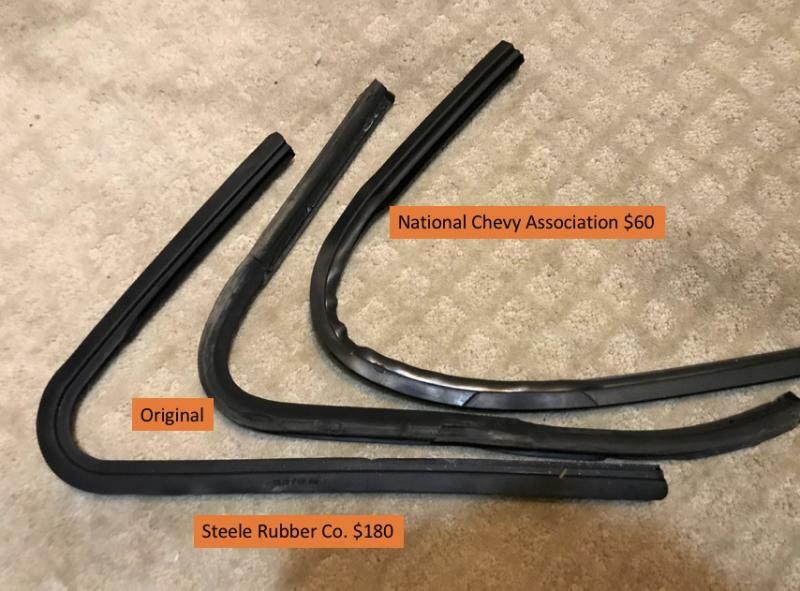 I ordered both the National Chevy Association and Steele Rubber window gaskets. Here they are, compared side to side. 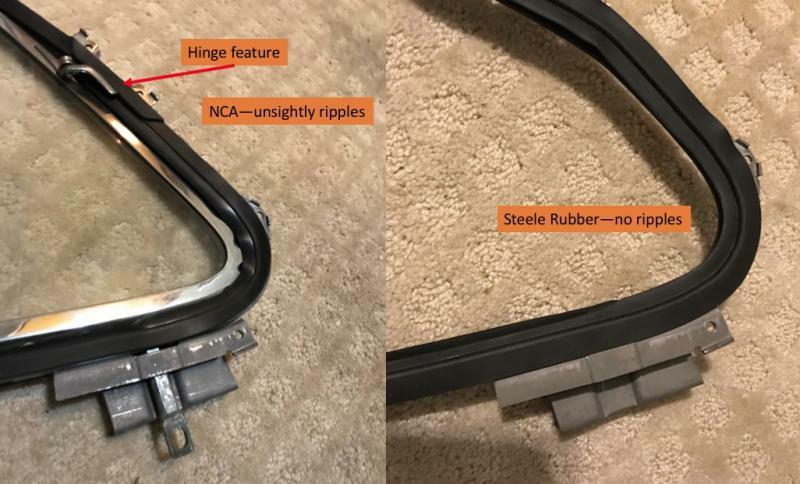 As you can see, the NCA part does indeed produce ripples when installed, owing to manufacturing the parts flat rather than using a molded bend. I could try many things to make the fit better, but only at the risk of damaging the parts to the point that I couldn't return them. The ripples are well-placed for allowing water to seep in. The Steele part is, overall higher quality and they molded the bend in place--no ripples. However, they made no effort to add the raised area needed for the hinge. Further, the ends need to be trimmed to fit. I'm not completely happy with the Steele product. But when you put it side by side with the NCA's product, Steele wins. It will do a much better job of sealing the window and keeping the water out. And, after all, that's what it is for. My wife isn't thrilled about the extra $120. But I have invested so much time and energy into restoring these doors. I know myself--the only thing I would ever look at would be those ripples! Comparison of two reproductions against the original. Comparison of the two brands partially installed. Thank you for taking the time to do this. Your pictures and comparisons are really priceless for us who still have these decisions to make. You are welcome, John. I sure wish that NCA had a better product. You are welcome! Here is the finished product, for the passenger side. A friend recently gave me a small metal lathe and I had some fun making a replacement "stud" for holding the wing on. The Steele vent gasket installed. Very nice. That speaks well for you and Steele both. NICE WORK. Yes, all caps, and he deserves it too. 2. When trimming, cut the stainless bead so as to not crimp it. 3. Use urethane windshield glue to hold it into the door frame. Any other suggestions? I'll be sure to let you all know how it worked. Thanks! About a foot of snow here in Boulder, CO and cold. A good day for working on the car. Old window channel and new stock material. From my experience in the glass shop many years ago: If I started bending the fuzzy channel over the glass and realized the bend was not in the correct place, IF I hadn't proceeded too far with the bend... say 30 degrees or so, it was POSSIBLE... SOMETIMES... to straighten the fuzzy channel and re-start the bend at a better pivot point. But sometimes no, once the bend was started in the wrong place nothing helped and I had to trash that piece and get another one. Thus it pays to measure carefully and make your bend so the end of the channel that is visible is just a little too long. That way, once the bend is completed you can trim the upper portion to fit exactly. The stainless beads will move as you bend the channel. Just don't get nervous when it starts moving as you bend. I just finished replacing the window channels and whisker strips on my 50 Fleetline rear windows yesterday. I really hate doing this job— I did the fronts about 8 years ago and had to take a break! Anyway, the rears weren't too bad and as others have mentioned, bending the channel over the window is the way to go in order to get nice round corners. If you have the 72" channels and whisker strips then cutting them in half, at 36", will do one window, and 36" is plenty of length for excess on each side. I used small 5 countersunk screws to hold the channel in place and pop rivets to attach the whisker strips to the body sheet metal. I used stainless safety wire to hold the whisker strips onto the garnish molding using the original staple holes. I will say it takes a lot of patience with fitting and bending, checking fit, trimming a little at a time to get it to fit nicely, but it is worth it. I will admit to cutting one of my whisker strips too short by 3/4" and I couldn't live with the gap! I ordered another from Amazon, but Ecklers was the supplier and with Prime free 2 day shipping I was only out another $22. Yesterday was my do over, so now I'm done! Hope this helps— good luck. Thanks for your help! I think I've got about an inch extra per piece, so I should be OK on length. Instead of using the glass, I traced around it and made this bending jig. The added shoulders gave the stainless bead something to push against, anbd the central part something to clamp against to keep the halves from spreading. The angle is clearly more than 90-degrees, but the relaxed bend was pretty close to 90 degrees. I will think about using the screws as you suggest; right now, I've got a tube of windshield adhesive. We never used screws to attach these in the glass shop. Reason being screws can back out over time and chip the edges of the glass, which will lead to cracks. We saw several examples of this type of cracks in jobs that were 3-4 years old. Instead of screws we used pop-rivets and then painted the heads with a black rubber-like coating to hide them. That makes sense. The originals were clipped in place, but that is not an option on the replica. I will glue them once I get both doors ready. The problem is that the adhesive (30 bucks!) is in a calking tube and will quickly become useless once I crack it open. I might be able to find a smaller tube somewhere. Any good quality urethane like Vulkem 116 would work for the fuzzy channels and you wouldn't have to crack open your expensive windshield sealant. Vulkem 116 is less than $10 a tube last time I checked. Execution time: 0.126 seconds. Total Queries: 23 Zlib Compression is on.